High in the misty mountains of Shenkuu, life is simple and leisure time abundant. 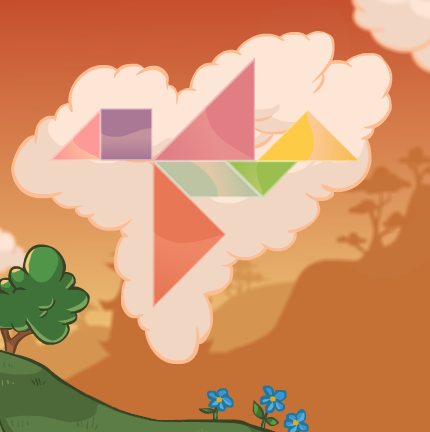 A favourite pastime of the land's citizens is picking out shapes formed by the clouds overhead, and recreating them with tangram puzzles before they dissipate. That one's a lobster. Definitely a lobster. 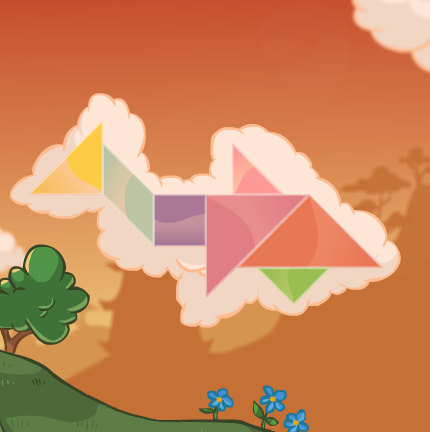 Shenkuu Tangram is played with both a mouse and keyboard, though the specifics vary with the game mode. 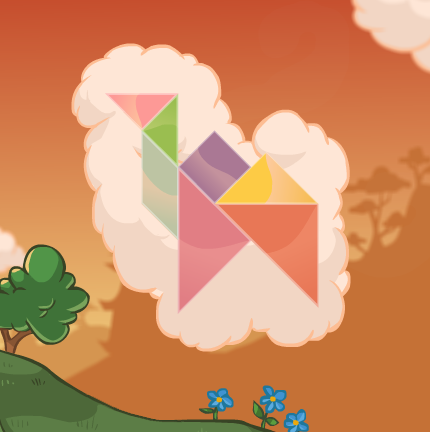 In Normal Mode, one of seven colored shapes will appear in a frame on the left side of the screen. 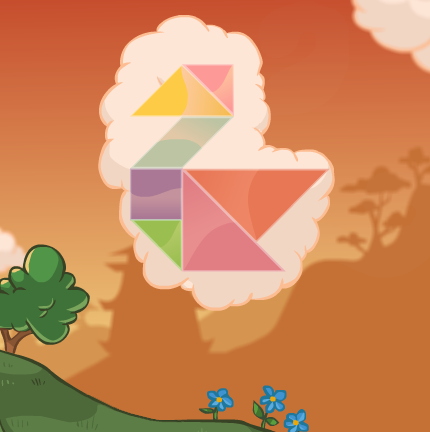 In Zen Mode, the shapes will all be there when the game starts, and in Hard Mode, the shapes will move downward from the top of the screen one at a time, requiring you to catch them. 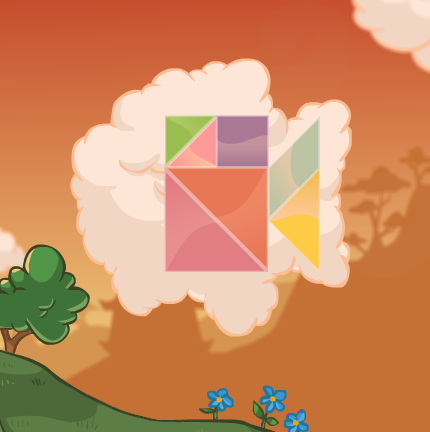 In each mode, you must use your mouse to drag the shapes to the cloud in the center of the screen. You can then use the arrow keys or space bar to rotate the shape; the right arrow and space bar will rotate it clockwise, while the left arrow will rotate it counter-clockwise. One particular shape, the light blue parallelogram, can also be flipped vertically using the up and down arrows, as it lacks the symmetry of the other shapes and will sometimes need to be flipped to fit into a puzzle. In the Normal and Zen modes, you can set the pieces down before you rotate them. In Hard Mode, however, you must rotate the shape while still holding it with your mouse; if it's not in the correct place and orientation when you set it down, it will be counted as a miss. 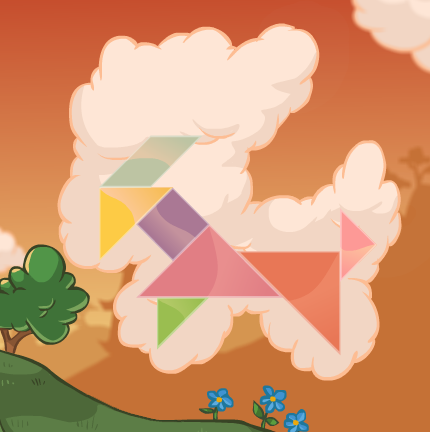 Your goal in Shenkuu Tangram is to fit all of the shapes into the outline in the cloud to complete a Neopet or Petpet design. In Normal Mode, you have two minutes to complete each puzzle, and running out of time will result in a game over. While you only have access to one piece at a time, if you're unsure where you want to place it, you can set it in the gray box on the left to receive the next piece. 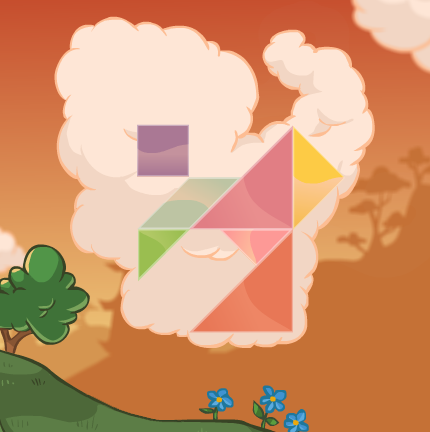 The Normal and Zen modes also feature a Hint button, which will highlight where a random shape should go in the puzzle. You're given a total of three hints for the entire game. 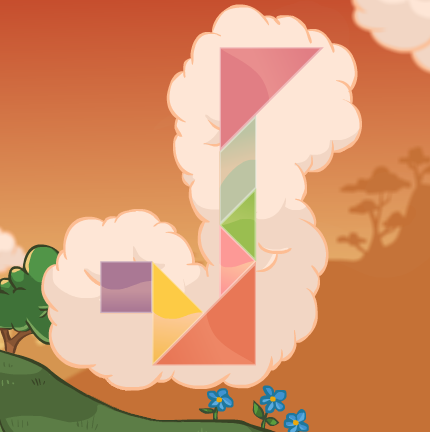 In Hard Mode, you're not timed, but the shapes will appear and fall at a constant rate, the speed of which increases with each level. If the "miss" counter in the bottom left corner reaches four, either by shapes reaching the bottom of the screen or you mis-placing them, it will be game over. Zen Mode gives you access to all pieces immediately, and there is no way to lose, making it ideal for practicing. 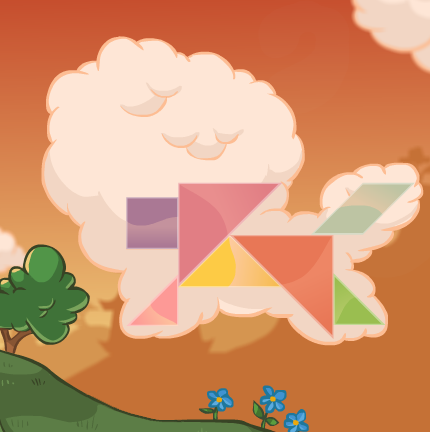 For every shape correctly placed in Normal and Hard modes, you will receive 15 points, making each puzzle worth 105 points, and the entire game worth 1,575. In Normal Mode, you will also receive bonus points for the time remaining on the clock, with each second being counted as one point. The current level has no affect on the points received, and you will receive no points when playing in Zen Mode. 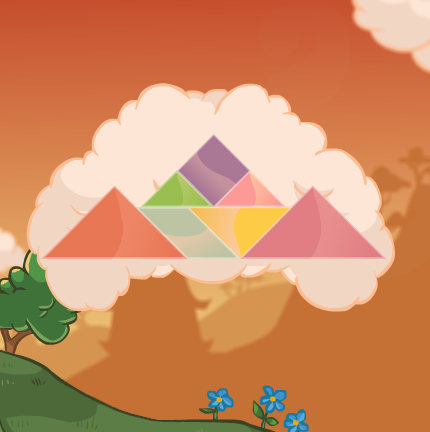 In order to earn a high enough score for a trophy, you will usually need to solve each puzzle in under 10 seconds. 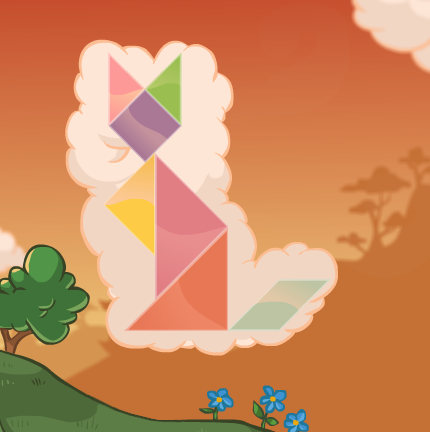 While Shenkuu Tangram does have levels, the Neopet or Petpet design chosen for each level is completely random, so there's no way of knowing what the next puzzle might be. 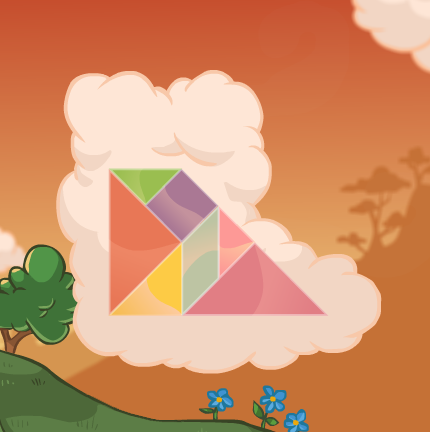 We recommend using the solutions below to practice each puzzle in Zen Mode in order to memorize which shapes go where. 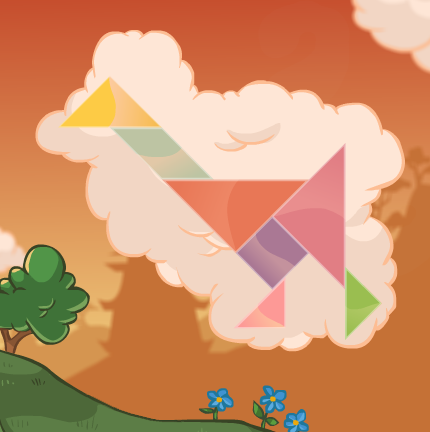 BikiwanThe light blue shape must be flipped with the up arrow to complete this puzzle. CrabulaThe light blue shape must be flipped with the up arrow to complete this puzzle. 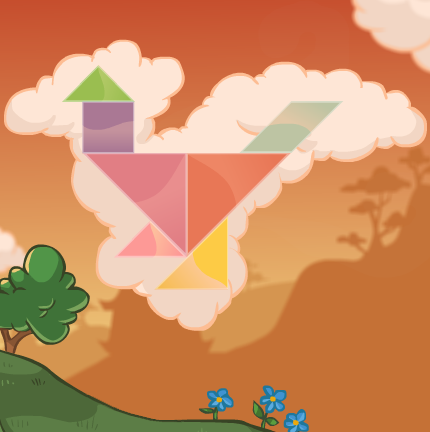 CubettThe light blue shape must be flipped with the up arrow to complete this puzzle. 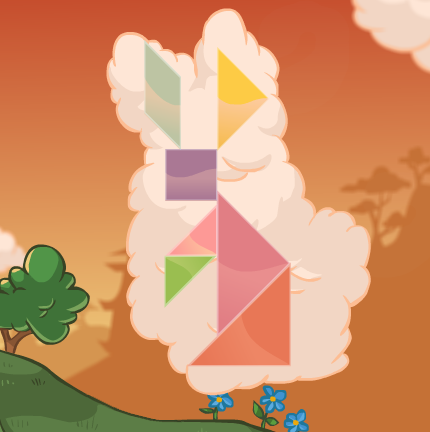 CybunnyThe light blue shape must be flipped with the up arrow to complete this puzzle. GnorbuThe light blue shape must be flipped with the up arrow to complete this puzzle.